JLL today announced the firm has made a strategic move to establish a dominant full-service Capital Markets platform in New England. The firm has hired industry veterans Chris Angelone and Bill Moylan as Managing Directors and Nat Heald as an Executive Vice President to bolster the firm’s Capital Markets services in the region. 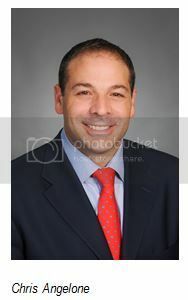 Angelone will co-lead JLL’s New England Capital Markets platform with Managing Director Frank Petz. Angelone, Moylan and Heald will broaden the firm’s retail investment sales platform. They will also add pivotal office and industrial expertise in New England, with a particular focus on urban, mixed-use properties and portfolios. The new hires come to JLL from CBRE/New England where they were directly involved with nearly $11 billion in transactions, including a renowned track record in shopping center sales for both national and international clients. Categories: Americas Retail, Investment and tagged investment sales, JLL, New England, retail.